As we reported, X-raid Mini is back in the UAE. After only one factory car in the "Dubai International Baja" in March (next to the private Mini of the Russian G-Energy Team), this time the German-based team will come with six crews, including the comeback of Luc Alphand in the only Mini-Buggy, FIA World Cup leader Jakub "Kuba" Przygonski from Poland, the German Stephan Schott (former boss of KS-Tools) and the Saudi-Arabian Yazeed Al Rajhi. But there are also two other interesting names. First, the Italian Eugenio Amos. His career as a driver started in circuits where he competed in the GT Endurance Series for several years. In 2015 he decided to switch to Rallyraid - never competed before in this discipline, but had the Dakar in his genes: His father indeed competed in the race back in the 80s, in a truck. Amos made his Dakar-debut in the Dakar 2016, finishing the rally and was back in 2018 with a SMG Buggy, prepared by Two Wheels Drive together with the very experienced co-driver Sebastien Delaunay. "With Delaunay, I raced in 2017 the Silk Way, where I won my first stage of an international rally and I finished 16th overall in the Morocco Rally. Delaunay helped me in making another important step forward as he is really good in navigation." Husband of Margherita Missoni, heiress of the Missoni fashion brand, Eugenio is not involved in fashion. Famous businessman, he has several companies and recently he founded Garage Amos, where he restores and customizes the iconic Lancia Delta Integrale. 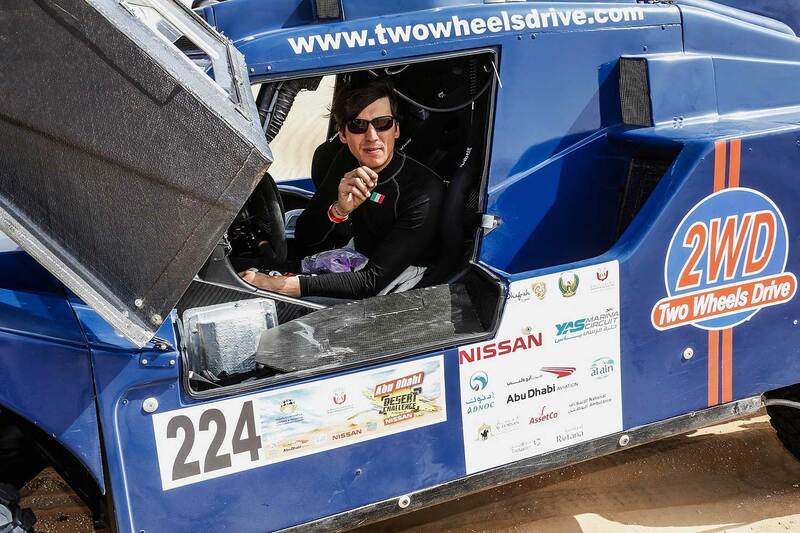 After the Dakar he will be back in the desert, but now in a 4x4. His first race under the wing of the Mini Family will be with respected co-driver Filipe Palmeiro from Portugal - Sebastien Delaunay is navigating the Brit Harry Hunt in his Peugeot 2008 DKR. A totally newcomer behind the wheel of a rallyraid-car is the Austrian Kris Rosenberger, competing with his partner Nicola Bleicher. Although the Abu Dhabi Desert Challenge will be Rosenberger’s first outing in a X-raid Mini, he is a proficient rally and circuit driver in his home country of Austria. He even is and was the Austrian Rallychampion in Historic Rallycars in 2017, 2014 and 2010 and Austrian Rallychampion in 1997. 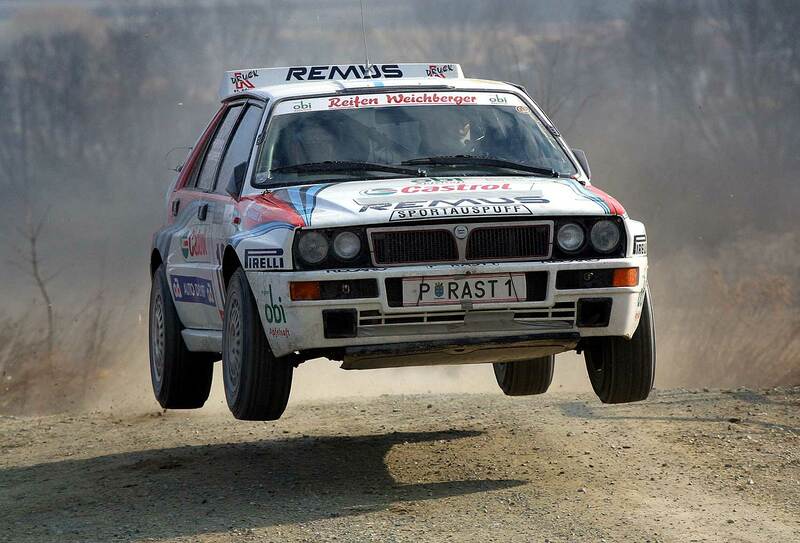 He started his rally-career as a young men with a Ford Sierra, which he also used as private car. Rosenberger first started motorsport on two wheels - but early found out, that the bikes are not his favourite motorsport as competitor. 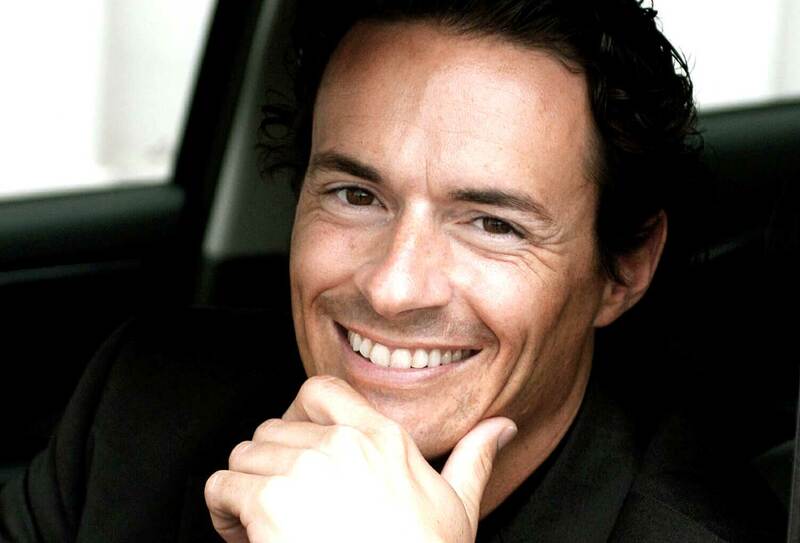 So it´s especially funny that Kris Rosenberger started a career at KTM, first (in the "wild times" in the end of the 90s) as marketing manager. KTM asked him to help at the Dakar Rally, he said yes and was responsible as spareparts-manager for the KTM customer bikes. As result, he got the job as sport manager - and KTM-CEO Stefan Pierer told him: "Mr. Rosenberger, we want to win the Dakar!" Rosenberger answered: "No problem" and told Pierer, that he need a very big budget. He got the budget without any problems - and KTM won the Dakar in 2001 with Fabrizio Meoni (died 2005 in the Dakar in Mauretania) for the first time - and also filled the first 5 places. With consecutive wins from 2001 to 2018, the KTM has dominated the rally for 17 years now. "I was in a position, you normally will never switch," he said in an interview. But he switched. His father founded a group of highway-restaurants and Kris Rosenberger became a manager in his family-company until it was sold. Today he is again selling motorbikes - and is specialist for the KTM X-Bow vehicles. "I'll be 50 soon and so I've been thinking about what I could do for that occasion," Rosenberger reported. "After rally, motocross and co, I came up with rally raid, more specifically the FIA Cross Country Rally World Cup. This for me is a new and extremely interesting challenge. The topic has fascinated me since my time as motorsport boss at KTM, with the motorcycle I've been in the desert many times. But with the car it is something completely different, again a new challenge. My partner Nicola was thrilled with the idea when I told her about it. Thus, the co-pilot question was resolved quite quickly!" Originally a buggy entry was planned, but in the end Kris Rosenberger and his partner agreed on a more comfortable, but no less spectacular vehicle, the X-raid Mini. "I'm very curious. After all, I will only sit one or two days before the start for the first time in such a car," he said. "A steering wheel and four wheels, plus a powerful engine - it does not take much more to make it through... No, seriously: The anticipation is very great for both of us, we are curious on what awaits us in Abu Dhabi! "